For both local brick-and-mortar businesses and web-based marketplaces, trying to gauge the success of search engine marketing efforts is complicated matter, particularly as SERPs become more dynamic. With the introduction of SERP personalization, Google results now factor in zip codes, device types, and geographic locations for search queries, resulting in different results for users in different locations. There is no longer one standard results page. If you’re trying to track your search engine rankings, you’ll need to know your way around the tools and best practices to maximize your SEO efforts. In this article we’ll discuss localization, the knowledge graph, how to track dynamic ranking and competition, and techniques for building links and social signals to your local pages. The traditional ways to track SEO efforts pretty much relied on Google Rank Tracking (along with organic search traffic, of course). While this is still used today by many SEO software providers, the problem is most only report on one set of ranking data, which is commonly referred to as “Google USA”. The issue with tracking rankings based on “Google USA” is that Google’s search results factor in many different personalized options, including device and location data. For example, if you search for the phrase “car insurance quotes” in one location, say New York, Google is going to recognize the phrase and display results of local NY car insurance providers alongside national providers, or other information with a local signal – perhaps news or articles related to the keyword phrase. A user in Chicago will see different results based on the same method of filtering for their location instead. In addition to localized content, users will also notice Google serves up a lot more content ABOVE the organic listings than it would have in the past. The Google Knowledge Graph takes publicly accessible content (along with scraped content from sites like Wikipedia) and displays this content above organic results. Examples include answers to question queries, weather related queries, movie showtimes, and more. Another method of using the Knowledge Graph is the “News One Box”, which is usually placed in the right side of results and is combined with top news story headlines pulled and mixed with the organic result listings. This additional content pushes down coveted organic listings, making the value of ranking in the top more competitive than ever. Because of the evolution of these search results, Google ranking numbers by themselves don’t mean a whole lot – the only way a real user is going to see the same results your SEO tool is showing you is by setting their preferences to show the default “Google USA” results. What is important, however, is taking this ranking and SERP data and using it to understand the competitive landscape and what you can learn in order to thrive! 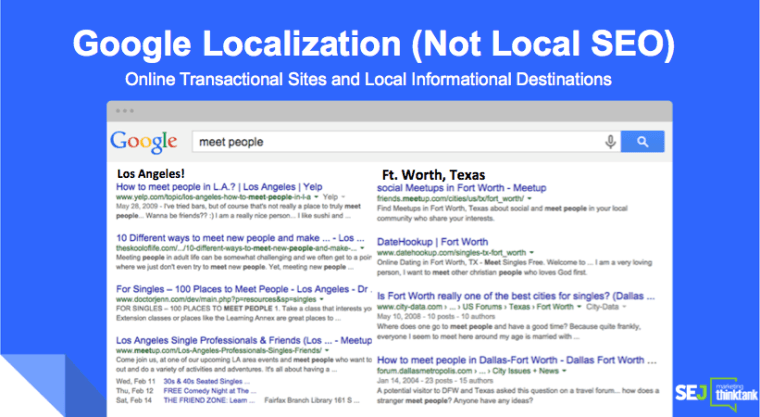 Google loves localized SERPS! Every time a user performs a search, Google results default to the user’s town or zip code (unless the user specifically tells Google not to). Google’s algorithm will then take keyword phrases and decipher if there are any correlations to local businesses or content and display those results (along with any of the aforementioned rich snippet or knowledge graph data. This is where Google Localization comes into the picture – not to be confused with Google Local/Google My Business listings (these may or may not show up in dynamic search results as well, but we’re not including them for sake of this discussion). With localization, you’ll usually find online transactional sites (think hotel and travel sites), local information destinations (state sponsored “visit us” sites), local directories, and of course brick-and-mortar websites. Interestingly, these SERPS showcase pages that relate to the area in question – not just the home pages either, but deep content that relates to the location. You’ll also find news and article pages show up organically regarding keywords in the region. Different locations will show different kinds of ranking strategies, which you can study and build campaigns around. Unfortunately, there are not a lot of tools (especially free tools) that track Google localized rankings. While it’s smart to focus on your organic search traffic in Google Analytics as an indicator of SERP performance, and utilizing keyword impression tracking in Google Webmaster tools, as SEO professionals we need a way to track localized search rankings to identify and research our competition in local markets. SEMRush – Built for medium-sized SEO competitor research needs. SEMRush will help not only in your organic SEO strategies but also help you research keywords for AdWords copy across 106 million keywords and 100 millions domains. Authority Labs – An additional keyword tracking service that provides daily SERP reports for both global and local rank tracking needs. You’ll also gain competitive analysis as well as white label reporting for your agency, and with a no-obligation free trial it’s worth checking out. Using SEMRush, for example, you would set up local tracking at the city level (also desktop vs mobile – results ranked differently for mobile), then use their SERP snapshots to get a feel for competitive landscape. Searchmetrics allows you to compare local VS Google USA data for an even more in-depth analysis. A neat real world example of dynamic keyword tracking would be tracking an offline billboard campaign that prompted passers-by to do a Google search for a branded keyword. Believe it or not, more people searching for you (and the click-throughs generated) may temporarily boost you for other related keyword phrases during that timeframe. You would use these tools to view rankings throughout your campaign to track it’s progress. Now that we have an understanding of the different types of content Google is displaying these days, and have our tracking tools in place, it’s time to get down to tactics and get our site as optimized as possible. There are definitely a few on-site techniques to consider, depending on the type of site you’re trying to rank locally. 1. If you’re a local business that serves multiple locations, or a web service that serves local customers across many cities, it is a good idea to create a geographical hierarchy – something to give Googlebot a logical and controlled way to crawl links. Paired with a sitemap, this would allow Google to find, say, state level pages that drilled down into county or city content pages to include in the local index. 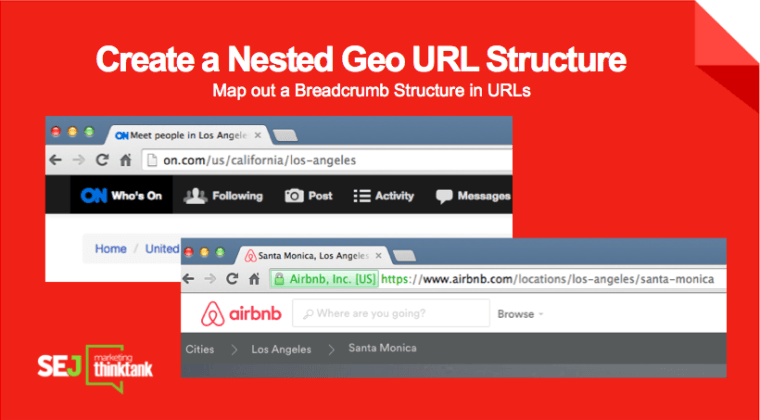 Once your hierarchy is created, you’ll want to create a nested geo URL structure – in other words, URLs and breadcrumbs that include the location and keyword phrases. 2. Nested geo-hierarchy or url structure can also be applied to existing content and blog posts. Make sure to clean up these URLs (like the “category” slug in WordPress urls) before adding locations. Have existing content that fits into your new local structure? Consider 301 redirecting existing linked content over to your local directories to take advantage of any existing link equity. 3. Finally, make sue to utilize local Schema.org markup; this was literally created by the search engines to give us the power to tell them more about specifc web pages and is very much is important for local information. This markup gives you the ability to add rich data – address information, phone, and hours that Google is looking for in local content. Many consider Schema markup as an alternative to the location tagging feature in Google Webmaster tools. While at times this can be true (manual uploading in Webmaster Tools can give errors in location tags), it’s best to cover all your bases. 4. Has your business moved recently? Updating your address info can be a pain but needs to be done, especially for your customer’s sake. Now that your site is ready to go on the technical side, it’s time to really get your hands dirty and give Google what it REALLY wants – namely, the trust factors it looks for in the form of links and social signals. I’ve outlined a number of geo-targeted tasks below to give your local pages the boost you need to compete with the big boys. It’ll take some work and creativity, you can’t overlook these if you want to keep traffic long-term. One of the most difficult tasks for small businesses without the resources of a larger web service, like say Airbnb, is building unique local page content. The problem is, you’ll find Google loves this content and it can really send a ton of long tail traffic once you add up all the possibilities. Think about local interests about what people like to do – shopping, sports, nightlife – and build as much content and resources as it makes sense for your business. This is especially true with the aforementioned web service that cater to many different locations, or for local city guides. The old mantra that content is king absolutely holds true if the content is unique. Do the work and you’ll see the results – good content really works! SEO professionals often refer to local link building by using the term “citations” – essentially a link or mention to a local business from a business directory or social network/web service. You want to make sure you update your links from these profiles to reflect your social content – profiles including Yelp, Foursquare, Google+, and Facebook pages. Another important reason why local content links should be used in social profiles is because Google wants to serve Google+ local knowledge graph information for companies and businesses above the regular Google organic results for brand keyword searches on mobile devices. If you’re compiling awesome local content (or including content in addition to links on your social profiles), Google will have an easier time indexing and possibly including your information in its knowledge graph results. Sometimes you may find the Knowledge Graph pulling competitors info in for a crucial keywords – and there’s not really a step-by-step way around changing or challenging that. Focus on become an authority site through killer content marketing. 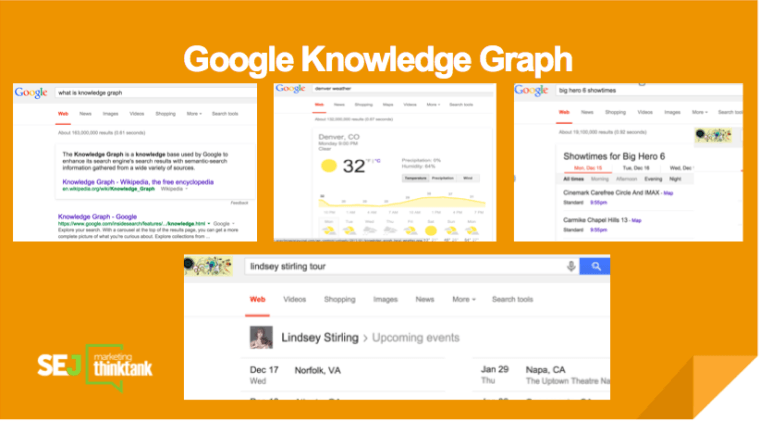 Also, Google uses behavioral data for knowledge graph information, so having things that get a lot of attention (like a Wikipedia page) can help influence the Knowledge Graph even more. A final note that has to do with the intent of your web pages in general: Driving users to the homepage all the time can be bad for the user experience. Create content rich pages with local information, but also keep in mind the intent behind ranking it the first place. Just because these pages might be content rich doesn’t mean they can’t be awesome lead generation pages as well! Focus on visitor intent as well as what the big G is looking for to create real results (and not just ranking for the sake of ranking). While building links in your social profiles is the first step in sending Google link signals, at the end of the day link building is not a one-time event – you need to keep building links! A great place (albeit a paid tool) to start is Whitespark, which lets you research local resources by keyword phrase. 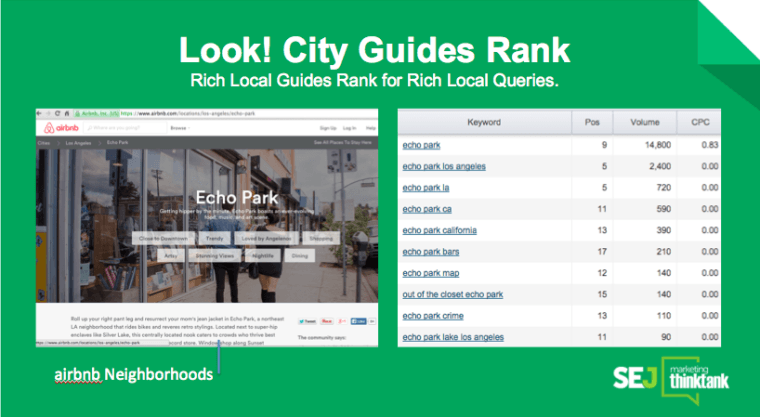 Using the tool will allow you to discover local directory-style sites you may be unaware of, and usually only available for brick-and-mortar business owners. Take action by submitting or editing profiles through the tool. Another way to build up your local link profile is using legacy SEO tactics, just on a local level. Produce content local Influencers will like, link, and share! Buzzfeed is doing a good job at this, and you’ll find recent articles show up for local searches everywhere. 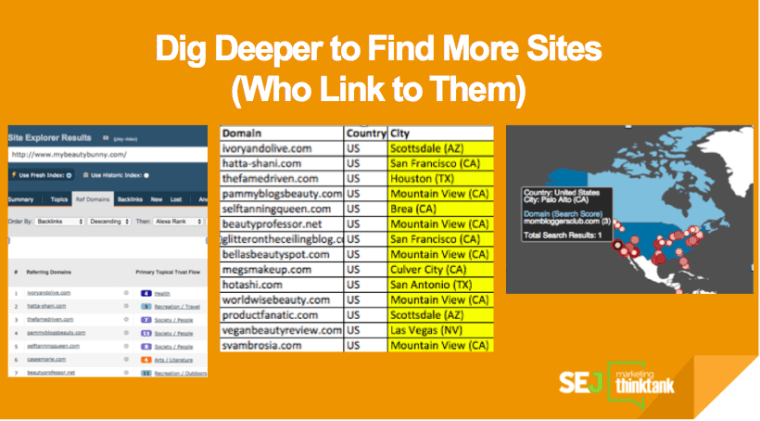 Another great tried-and-true link building tactic is egobait – creating lists of the top bloggers in your area. Then perform outreach to get links and local signals. Finally, you’ll want to do old school competitor analysis – digging deeper to find more sites. Run backlink checks to find competitor links and use tools like Majestic SEO to find geo-data (particularly effective for multi-franchises!). By now you should have a better understanding of the direction Google is going in when it comes to how it serves up SERPS. While there’s a lot to consider and research, you have to remember this area will continue to evolve. An SEOs work is never “finished”, and in order to stay ahead of the competition one must continue to test and refine SEO strategies. The localization of search is just a continued evolution Google’s main focus – creating the best value for users by providing the most relevant results in the world (and someday the universe). Keep that in mind when thinking about the strategies outlined in this article, and in the future when determining factors Google may be looking for. Put yourself in the users shoes and the answers (and your rankings) may be easier to manage. This post is based on the research and webinar I gave on the #SEJThinkTank. Here is a video recap of that webinar, which includes an in-depth Q&A about competing in dynamic & localized Google SERPS. Enjoy!